Kennedy Plaza, Image from RIPTA. The Rhode Island Public Transit Authority (RIPTA) is considering changes to improve bus service in downtown Providence and is inviting the public to provide input. Future service changes are being planned in order to maximize opportunities that will be created by upcoming capital investments including the Downtown Transit Connector (DTC) and the Providence Intermodal Transportation Center (PITC). RIPTA is hosting an open house on Monday, September 11, 2017, 4:30PM – 6:00PM at the Providence Foundation, 30 Exchange Terrace, Providence. The public is welcome to drop in anytime during this session. More direct service to more locations, which will reduce the number of transfers needed by passengers. Reduction of travel times in key areas. Less reliance on Kennedy Plaza as a primary location for transit connections. Expanding more routes to the Providence Amtrak Train Station to provide more direct bus-rail connections. Making transit more “user friendly” to downtown residents and workers through the creation of a high frequency transit corridor from the Train Station to Rhode Island Hospital. 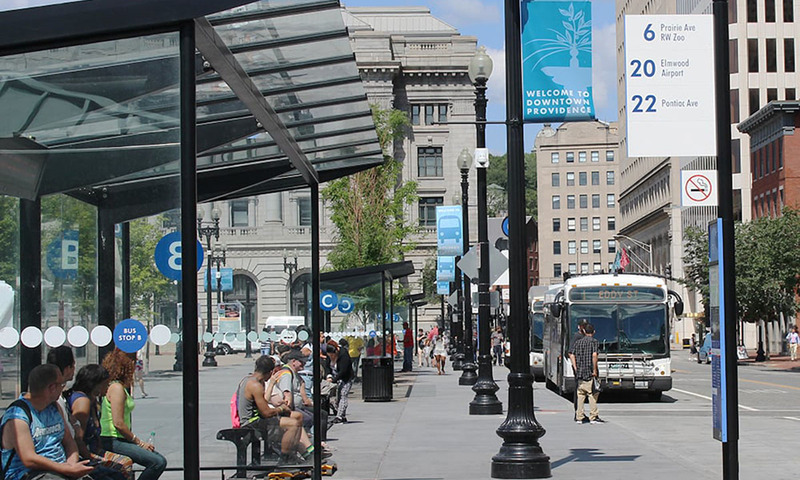 Maximizing customer convenience at Kennedy Plaza to support the City’s vision to consolidate bus travel on Washington Street, making it a two-way, transit-only road. More busses at amtrack could help commuter rail to wickford especially with 1 ticket for both. Likewise more hubing @ Warwick and Wickford station could improve ridership.